3 Peaks Resort & Beach Club is the perfect choice for your vacation! Our South Lake Tahoe hotel is a comfortable and affordable place to stay on your vacation. Our recently renovated deluxe motel rooms offer the perfect ambiance for your vacation. We have situated most of our rooms close to the pool that add to the excitement of your experience. Some of our deluxe motel rooms include a large king bed for getting a good night slumber. Balconies are off the rooms, so you can step out and breathe some of the freshest air around. Some top notch amenities that will help you feel right at home are cordless telephones, hair dryers, full bathrooms with shower/tub combination, and one of the most enticing entities around these days - wireless Internet. So if you're looking for a hotel in South Lake Tahoe, the 3 Peaks Resort & Beach Club is the perfect choice for your vacation! Motel Room. 1 King Bed. 400 thread count linens, cable tv, coffee maker, hair dryer, iron and ironing board, laptop safe, alarm clock, and free wireless internet. Motel Room. 2 Double Beds. 400 thread count linens, cable tv, coffee maker, hair dryer, iron and ironing board, laptop safe, alarm clock, and free wireless internet. The 3 Peaks Hotel is located just 2 blocks from the sands of beautiful Lake Tahoe, California. Not only is the location prime, but the mountain cabin style and state-of-the-art accommodations make 3 Peaks one of the top Tahoe hotels. 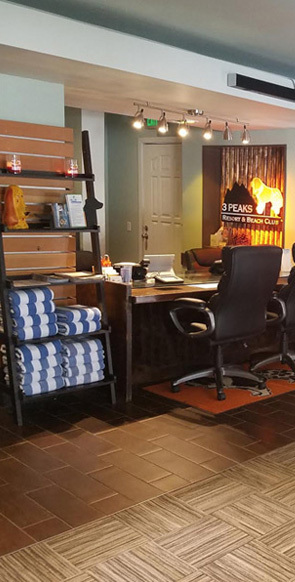 Although our hotel has recently been renovated, the 3 Peaks service remains as excellent as ever, keeping 3 Peaks Resort a favorite of the Lake Tahoe hotels! 3 Peaks Resort not only welcomes families, groups of friends and couples, but it's also one of the only pet-friendly Tahoe hotels, allowing guests to bring their furry friends along any time of year. There are four two-story buildings offering a range of room styles to choose from. Of all options for South Lake Tahoe hotels, rooms at 3 Peaks Resort are tops. These non-smoking South Lake Tahoe hotel rooms are furnished with pine furniture and paneling creating a true mountain style. 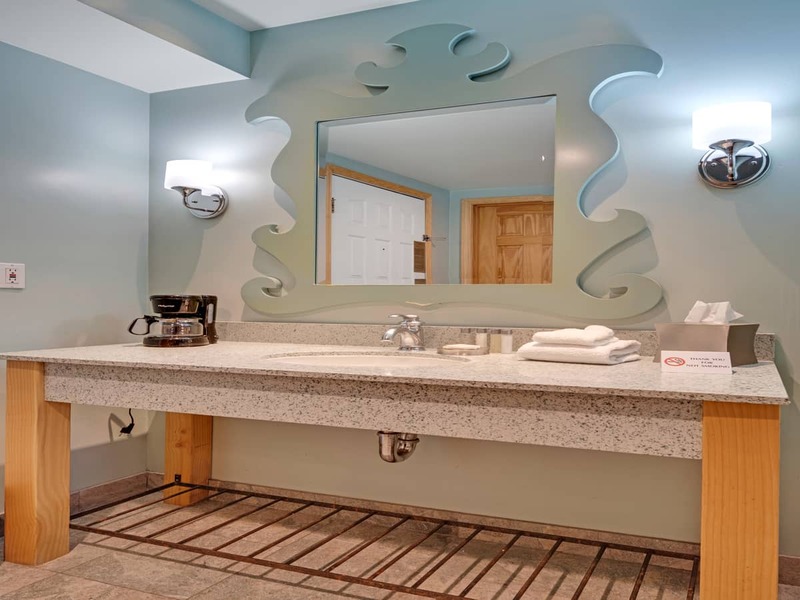 Enjoy a relaxing 3 Peaks Resort & Beach Club cabin-style room at one of the best Tahoe hotels in South Lake Tahoe, with comfortable beds with top of the line linens. Available room at 3 Peaks Resort, free of charge, upon request, are a coffee and tea maker, a hair dryer and iron with ironing board. If you're looking for an added touch to make this vacation extra special, we also offer cabins with a fireplace or Jacuzzi. Top-notch accommodations and cozy cabin-style lodging make 3 Peaks Resort one of the all- around best South Lake Tahoe hotels. All hotels say they offer the best in service, accommodations and location, but 3 Peaks South Lake Tahoe proves it! After visiting The 3 Peaks Hotel, you'll agree. 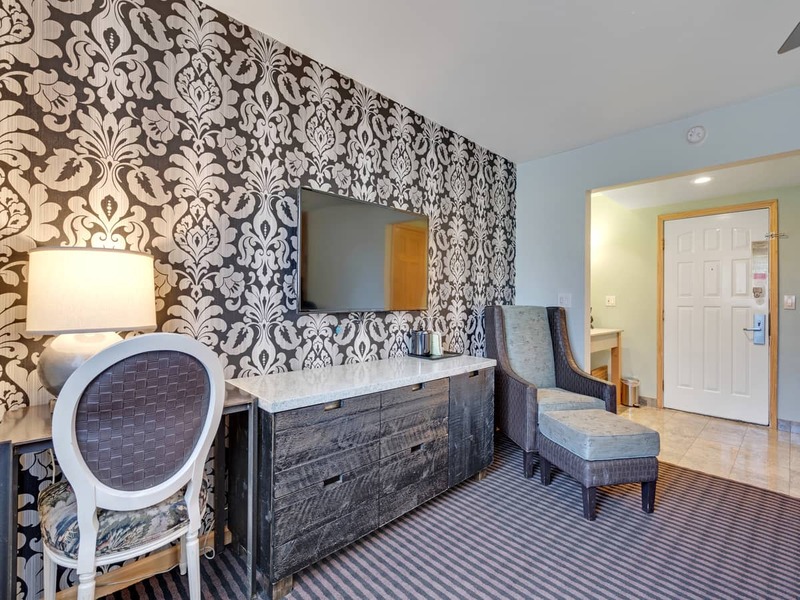 Our hotel remains one of the most desired South Lake Tahoe hotels to stay at, due to it's premier location near top Lake Tahoe attractions and restaurants. All of the major casinos give guests of 3 Peaks nearby Tahoe nightlife options, while the private beach offers guests plenty of daytime summer fun. In the wintertime you can enjoy great skiing and snowboarding at world renowned ski resorts Heavenly and Kirkwood, to name just a couple nearby Lake Tahoe ski resorts. 3 Peaks is one of the top South Lake Tahoe hotels year-round. 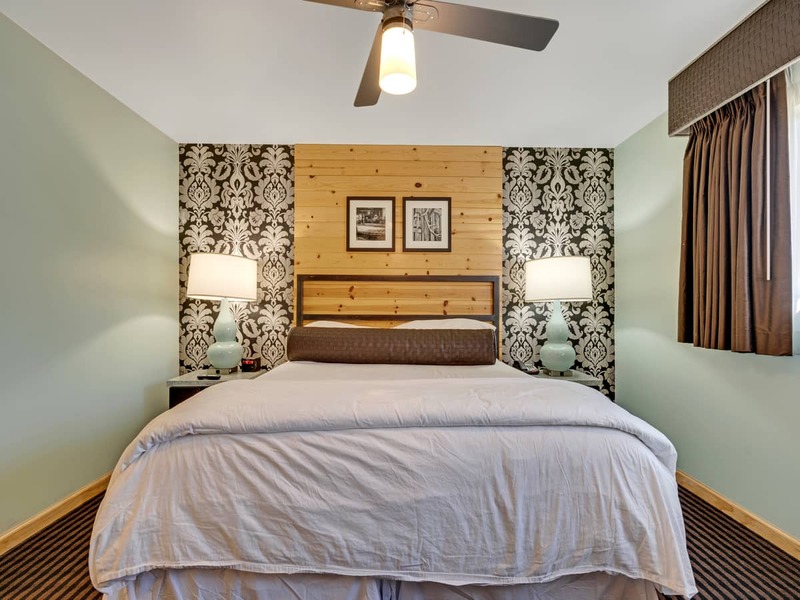 If you want a completely relaxing vacation, in a pristine mountain location, choose The 3 Peaks Hotel in beautiful Lake Tahoe, California and enjoy yourself in the cabin of your choice.